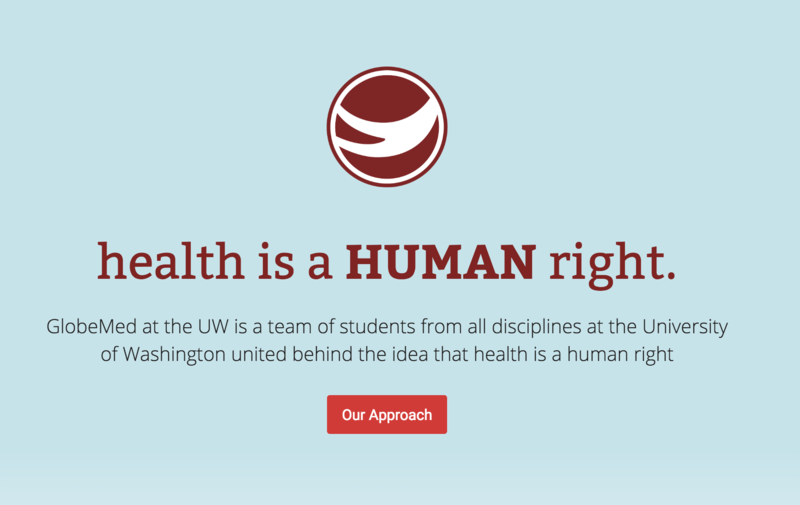 GlobeMed, a student organization at UW, didn't have a website to present their mission and work. 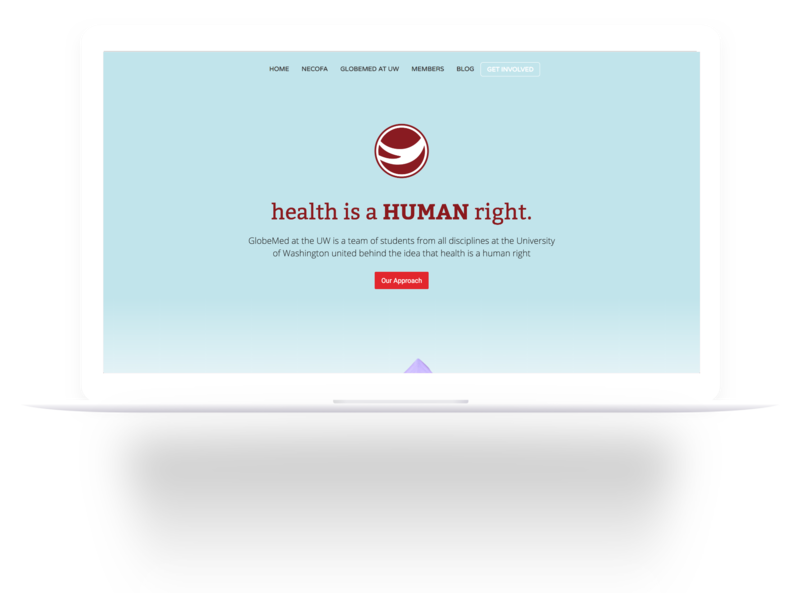 Design and implement a website using Webflow that communicated our mission, values, and the work of our partner organization. I joined a club called GlobeMed during my Junior year. 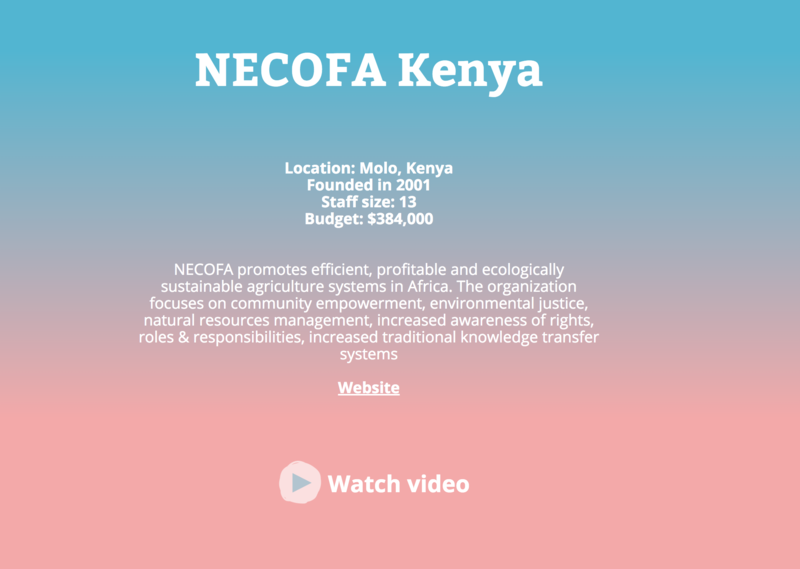 They focused on global health equity, and partner with an NGO in Kenya that promotes community health through sustainable agriculture, education improvements, healthcare infrastructure, and a wide range of other initiatives. When they found out I "did design stuff" they asked if I could make a website. 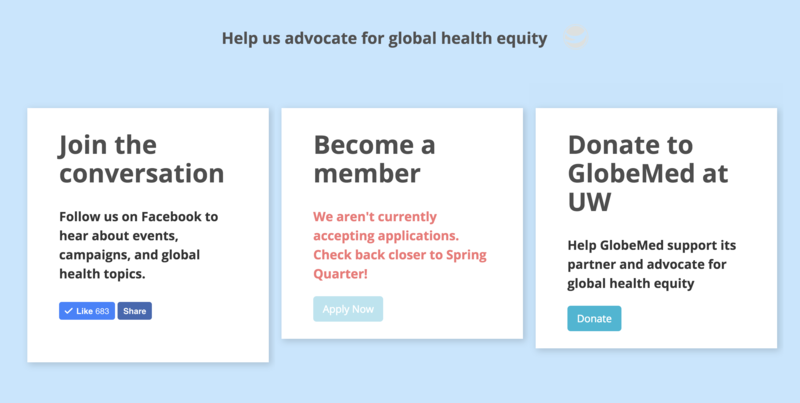 I met with the GlobeMed board several times to help them organize their thoughts into a concise page structure, designed the site in Webflow (hand-coding a few interactive elements here and there), and guided members in performing content updates themselves. GlobeMed is serious -- we talk about big problems. But it's also warm and fun -- we laugh, chat, and go on retreats. That warmth needed to be reflected in the visual design. 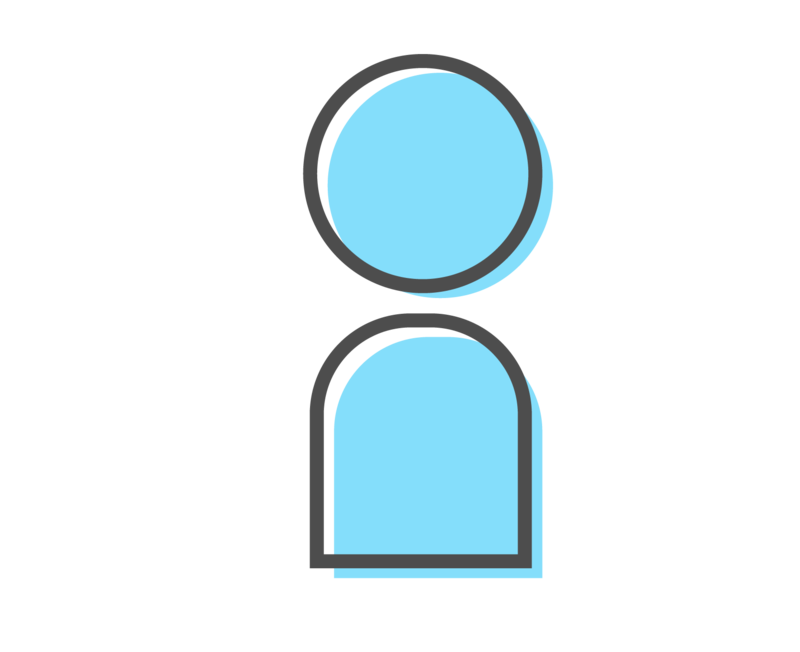 The main goals of the site were to give context for what we do and why we do it, and how our "chapter" of GlobeMed was situated within the larger GlobeMed program. 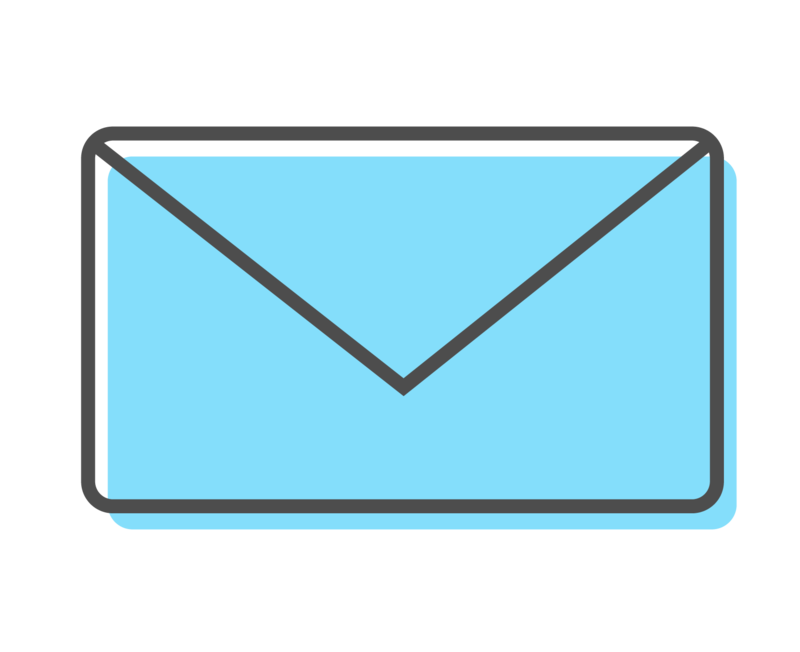 It also needed to be responsive, since college students often access club websites from phones and tablets. 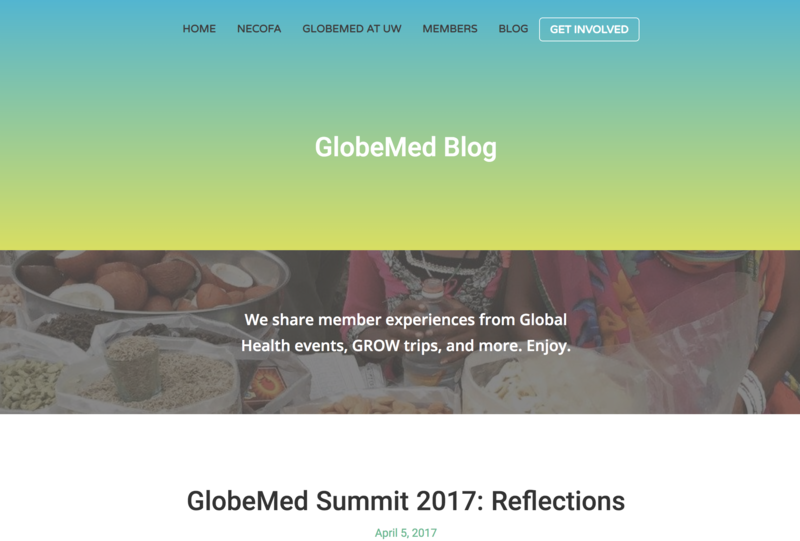 It was a fun challenge to represent the diverse work of GlobeMed concisely. This was my first experience making a site for students who had no expectation for what the process should look like. I a surprising amount of time convincing people that they wouldn't hurt my feelings with critical feedback. 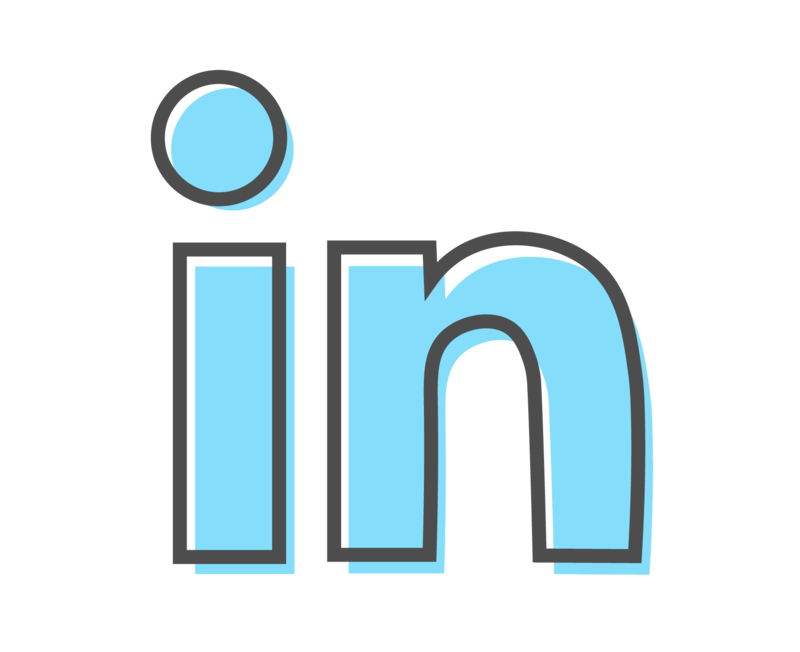 This experience will help me organize a timeline on future freelance work.